For more than 80 years, the iconographic images of our nation's leading stage, cinema and television celebrities have achieved instant visual recognition through the artistry of Al Hirschfeld. He's still acclaimed by art critics as one of the most astute commentators of the American entertainment world. Brenda Gill of the New Yorker once wrote, "To be a star on Broadway is to be drawn by Hirschfeld." 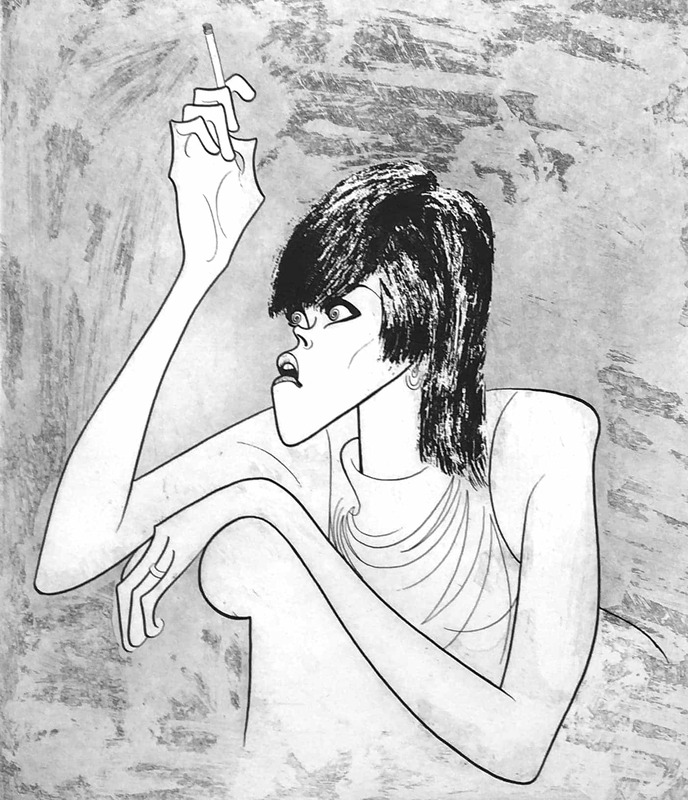 Jewel Spiegel Gallery has a collection of original etchings and lithographs by Al Hirschfeld. Each piece is numbered and signed in pencil by the artist. Our collection consists of many Hollywood celebrities including Frank Sinatra, Woody Allen, Charlie Chaplin and Marilyn Monroe; a small selection can be seen below. To see our full collection visit us in Englewood, NJ. For information on pricing, sizes and selection please Contact Us. Images below do not reflect true paper color. Al Hirschfeld , who's work was greatly influenced by the Japanese woodblock printers Sharaku and Utamaro, came full circle when he created this series of Japanese theatrical form. The "Kabuki" series is a suite of twelve lithographs illustrating the performers "avant-garde" style in the classical Japanese Kabuki theater. Each piece in our collection is numbered and signed by the artist. To see more of our collection by Al Hirschfeld visit us at Jewel Spiegel Gallery.